With the coming of October 1, we officially welcome the start of Q4! Looking back on Q3, we had a busy quarter full of hosted events, interesting new clients, lots of great press and a slew of new faces. It was a quarter of growth and alignment for toward new opportunities – and we definitely will be riding this wave of momentum to kick October off with a bang! 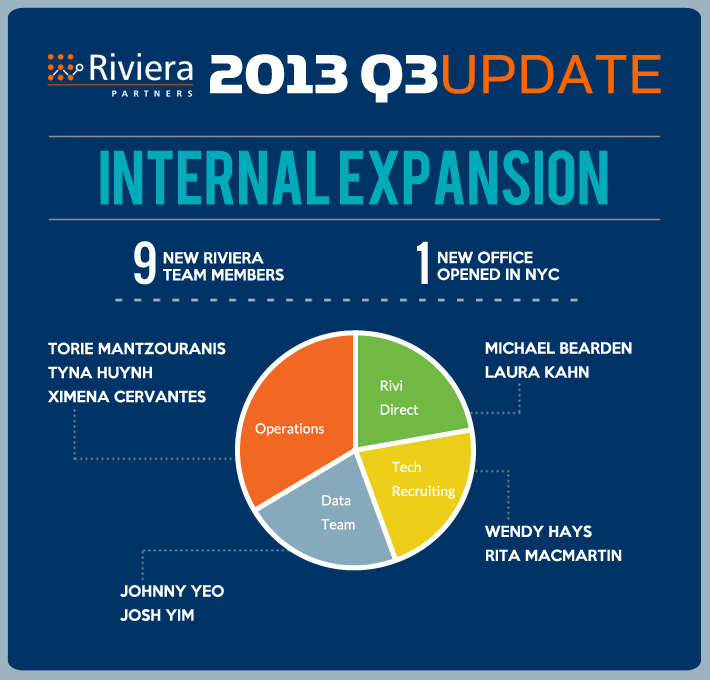 We put together a mini graphic highlighting a few of our Q3 accomplishments. Here’s to continued success in Q4!